Relais de Montgeoffroy offers quality suites in an 18th-century farmhouse, offering views of the surrounding countryside, with a 3.5ha park with meadows and forests. A large heated pool is available in season. Free Wifi and shaded parking included. All rooms have a private bathroom with a hairdryer and free toiletries. 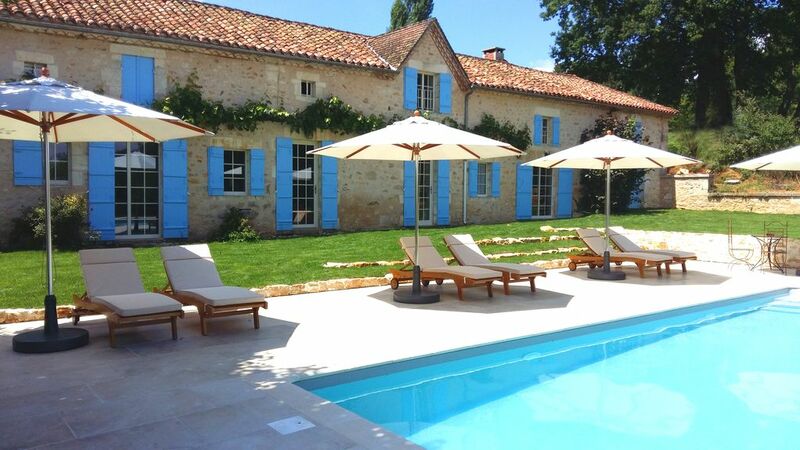 The Relais is well located in the Périgord Vert, allowing you to visit many sites of interest at a decent distance. Classified "one of the most beautiful villages in France" St Jean de Cole is 2.8 km from the property. The magnificent Villars caves and their prehistoric paintings are 11km away, as is the Abbey of Boschaud and the Château de Puyguilhem. "The Venice of Périgord" Brantôme is 17km, while Sorges, famous for its truffles, is 13km. You also have the famous castle of Jumilhac (26km), Périgueux (33km). For sport, you can practice hiking and biking directly from the property, and nearby canoeing, fishing, as well as tennis and golf in nearby facilities. We favor calm, this place is ideal for couples seeking tranquility. We offer this duplex cottage, with independent entrance, crossing east / west. You are in total autonomy. You have a private parking space, access to the pool and the "picnic area" located in our woods. Propriété entièrement Non-Fumeur. Ne convient pas aux enfants. Nous n'acceptons pas les animaux.